The Good Old Centre Snorkel, is this the most underutilised piece of kit in / not in your kit bag? During my coaching career I have NEVER recommended anybody use a kickboard outside of a children’s learn to swim session, a view shared among many coaches worldwide. The debate among the coaching community is that a kick board is simply not needed for performing a kick drill in any stroke, problems may arise with increased injury risk to the lower back and shoulders due to the position it places you into. Technique wise, it also places the body in a very unnatural position with regards to swimming and translating the drill into full swim, raising the body to high at the front and dropping the legs and / or arching the lower back. So if you are a swimmer or triathlete with low sinky legs (a very common stroke flaw) then with a board the likelihood is that your legs will be sat even lower in the water. We have had swimmers come to see us for stroke correction who have always used a kickboard, even stories of weird variations such as a weighted kickboard?!?!?. The first thing we do is get rid of this ‘aid” for their future drills, they are amazed at how this simple change affects their swimming and body position. You can see all of these issues at play everytime you see a squad or individual using a kickboard in their swim set, dropped legs, high heads, strained shoulder positions and bad body position will be seen through the pool. We were once lucky enough to join a Jon Rudd Swim clinic as coaches, it was music to my ears when he held up a kick board and said everybody should burn them. He mentioned that lower back strains and injuries in his plymouth squad fell dramatically when kick boards were not being used, at the time Jon was head coach, he now leads the Ireland National Swim team and an influential international coach. Our View on Kick Training – Balance & positioning, NOT power for distance swimming! At this point I feel it is also important to mention our philosophy of the role of kicking in your swim stroke. For distance swimming, and by that I really refer to swimmers and triathletes who are swimming anything above 400m upto very long swims, we think of the kick as a body positioning and balance tool. We do NOT think of the kick for these athletes as a powerhouse of the stroke, in fact the great Ian Thorpe’s kick only added around 11% of the total propulsion of his swim! For swim club swimmers and those doing shorter events the kick usually becomes faster and more powerful, why? Well, most club pool swimmers are only swimming 50m, 100m, 200m and 400m swims in their freestyle events (most young club swimmers consider 400m as long distance). So if you are a swimmer swimming 1 mile plus, or a triathlete with a bike and run to come, will you be kicking with the same power and effort as a pool based swimmer racing a 200m Freestyle. The answer is simply NO. However, the centre snorkel should be the training aid of choice for kick drills, way ahead of the kickboard. In our squads we approach kick from a technique perspective, utilising many drills to gain technique through the stroke as a whole. From Streamlined / Torpedo kick, Alignment kick / Corpse kick through to kick on side and kick on side based drills to get the athletes timing and rotation tuned as well. So, how can we make our kick drills more productive and potentially easier at the same time? A common problem swimmers have when performing a Face down kick drill is the breathing. This is where a swimmer thinks the kickboard is helping out, as you can have your head above water and are able to breathe freely. However you then have the potential for all the problems listed above to manifest themselves in your swim. When performing any kick based drill the importance is in the technique of the kick, a movement from the hips with a loose knee, rather than a cyclic action as we see with many triathletes from a running or cycling background. design also means your arm would not be hitting the snorkel in full stroke, is it may do with a traditional side mounted snorkel. The snorkel also takes away the worries of breathing and having to break your kick drill to do so, as you can breathe freely through the tube and simply get on with the task at hand…….creating a long body position, with a good head in the water position which is far more relevant to your swim stroke. If you have issues with water going up your nose when using the snorkel a little trick is to breathe out through the nose and in through the mouth, this usually solves or limits this feeling. The addition of Fins to your kick drill will also aid body position and help with ankle flexibility, but the centre snorkel can still play a part to help set you on the road to great technique. And of course you would need to mix up your drills to establish good all round technique. We rarely do a whole session of kicking in a streamline / front down position as you need to work rotation and alignment also, so drills such as Kick on side, 6-x-6, broken arrow etc should be performed without a snorkel so you can feel the rotation and breathing link in these drills. As with all training aids an important factor is NOT TO OVERUSE them. The power of the Centre snorkel is to aid breathing when performing certain head down actions, if you use the snorkel all the time then there may be a danger of the stroke becoming flat and you lose your rotation and breathe timing in the stroke. And back to the kickboard issue……..if after reading all of the above you still feel you need a kickboard the ONLY one that South West Swim recommend would be the Finis Alignment board. Why? It is small and light meaning you can get the board easily under the water without too much strain on the shoulders, meaning the body position is not too high. It is also shaped into such a way that you hold it in your streamline / torpedo position (or just wide if you are a breastroker). But give everything a go without a board first, you may be surprised as to how good it feels, and how it changes your swim stroke. The Finis range of centre snorkels can be purchased in the South West Swim Store Finis Shop – Here. I hope this post has been useful to your swimming and provided some food for thought. 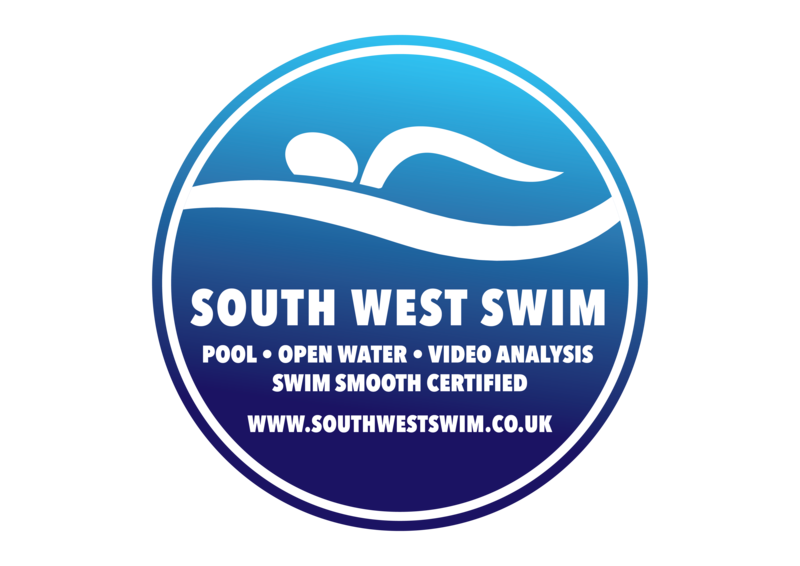 If you wish to enquire or join one of our many sessions then please take a look at what we can offer you at www.southwestswim.co.uk.